Time for a quick blast back to the silent era for my next film. 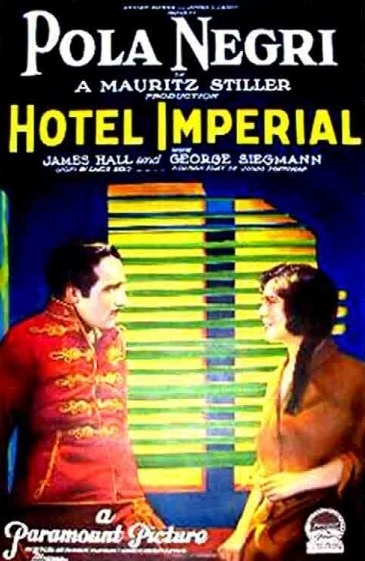 ‘Hotel Imperial’ (1927) is the first Hollywood filmic transfer of a stage play (also called ‘Hotel Imperial’) which was written in Austro-Hungary while the war was still raging in 1917. I say ‘First’ and ‘Hollywood’ because there’s a lost Hungarian version from 1918 plus there’s another Great War version filmed in 1939 and a Second World War version directed by Billy Wilder and starring Erich von Stroheim as Erwin Rommel filmed in 1943. There’s probably other versions too. The 1927 version stars Pola Negri. All I know about her is that she apparently over-acted at the funeral of her lover Rudolph Valentino. Apart from that she’s just another name from the golden era with a hundred and one lost films in her filmography. My film today is one of the few films from her catalogue that has survived to the modern day. Even so, I’ve been on the lookout for a copy to buy here in New Zealand without much success so I finally gave in and settled for the 240p youtube version which, with the aid of hindsight, was probably a mistake. It’s is a bit of a rarity in another way too. It’s the first film on the list so far set in Galicia. Our protagonists are Austro-Hungarians (goodies) and Russians (Baddies) and I’ll have to hold my hands up and admit I’m not much of an expert on the Eastern Front. After a brief squizz through Wikipedia it appears the Russians invaded in the early days of the war in 1914 and were pushed back some time in mid 1915. This dates the film neatly between these two dates with the ending occurring during and just after the re-capture of the homeland by Austro-Hungarian forces. Also, having the Austro-Hungarians as the Goodies puts it into esteemed company don’t forget. There are next to no western Great War Films shot from the perspective of the Central Powers. ‘All Quiet on the Western Front’ does it of course but not many others. Negri stars as a Hungarian chambermaid who finds an Austrian soldier hiding out in her hotel after a fire fight with some Russians. Her and her colleagues do the right thing and hide the recovering soldier as a Russian General and his boys turn up and decide to use the hotel as their base. The General falls in love with Negri, there’s a spy who the hiding Austrian soldier shoots in a bath and there’s a love story ending. That’s pretty much it, the film is a short one, coming in at 76 minutes but it still felt like there was plenty of filler. It felt like it was probably a scene for scene theatre to film transfer with minimal changes made from the stage play to offset the change of media. Some of the scenes felt clunky and un-needed while others seemed rushed and unfocussed. 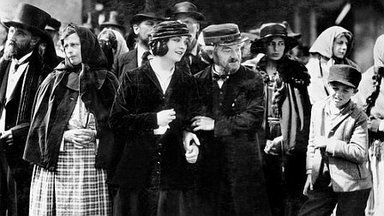 Overall the experience was slightly below my expectations for a late silent era film starring a few biggish names and made by one of the main studios and a well known Director (Mauritz Stiller). The low quality youtube version I watched didn’t help matters. It was visually almost unwatchable at 240p with lots of dark bits and the soundtrack seemed to have been taken from a different film altogether and shoehorned into place without any care for what was going on up on the screen. There were occasional flashes of quality though. There’s an early scene where the hiding soldier is recovering on a chaise. His pose is reminiscent of his earlier flight from danger on his horse and to make this point a running horse is super-imposed under the soldier as he lays out on the chaise. Good stuff. And then near the end there’s a message passed to the General. He reads it and the messages spin at the viewer on screen and are played out in montage in the background at the same time. Excellent stuff, but too little too late. 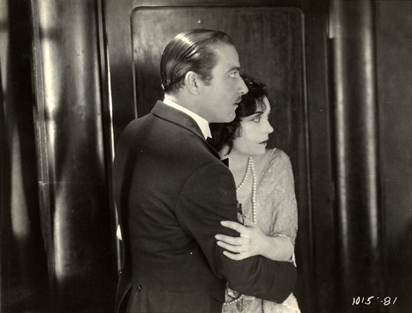 All in all this is a pretty stock standard little film with a decent enough star turn from Pola Negri and occasion sparkles from the director. The story is simple and delivered without much fanfare. The location within a hotel adds a hint of claustrophobia but not as much as it could have. Do I recommend it? Not really. Not because it’s bad or anything but just because it doesn’t really do anything. It could’ve been so much better but comes up a bit short in every category. Clicky Clicky to grab it.